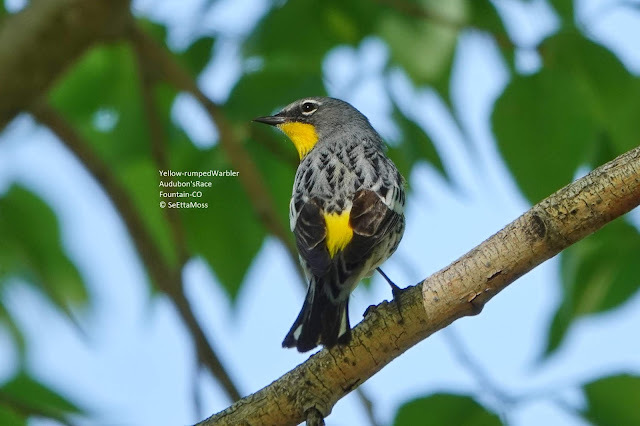 The top pic shows several field marks for Yellow-rumped Warbler : yellow rump showing, streaked gray upperparts,broken white eye ring and white corners on tail. And, of course, it's fully yellow throat shows it is the subspecies found in the west, Audubon's. The pic above adds the following field marks: yellow patch on side and 2 white wing bars.